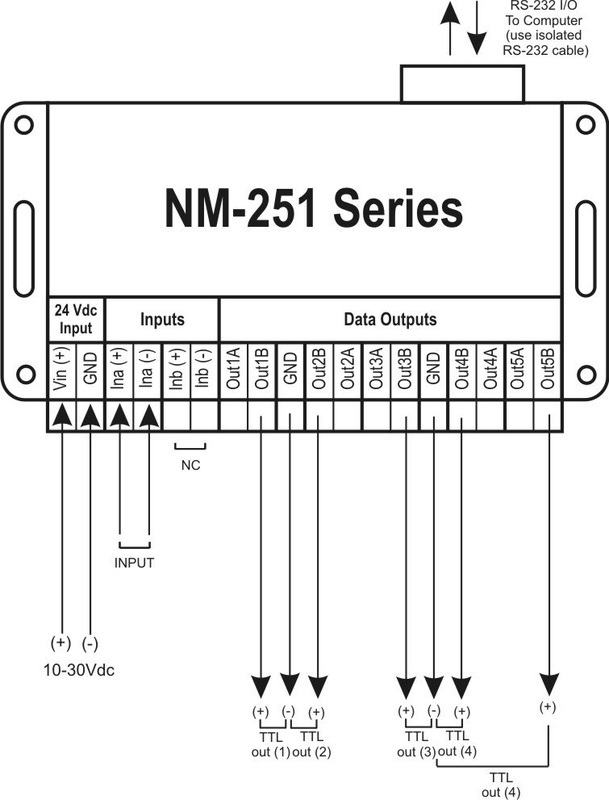 NM-251B is a Speed Log ppm output to NMEA-0183 converter that enables connection of every speed log that uses the “closing” contact interface with digital systems and instruments that comply with the NMEA-0183 standards. 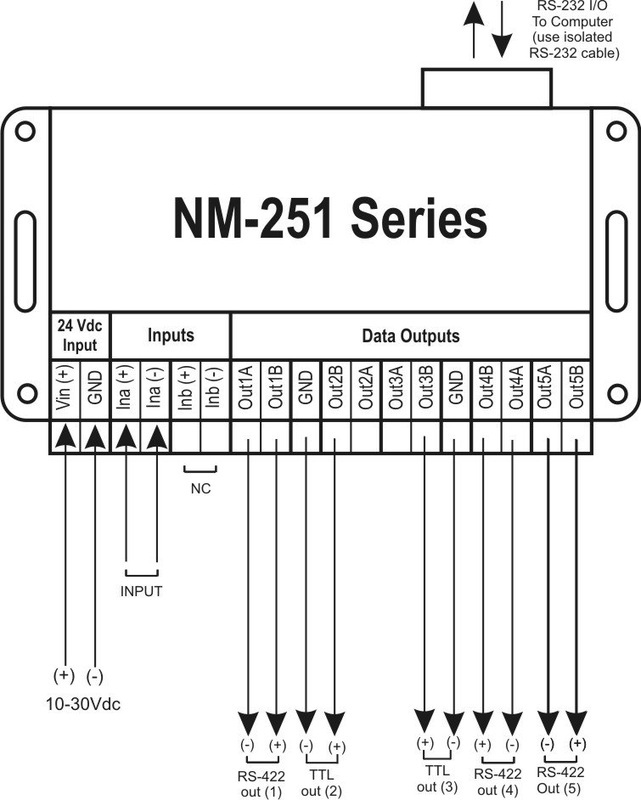 The NM-251B is capable of converting the speed log contact closures to a standard NMEA $VWVHW string with checksum error control and output at TTL, RS-422 and RS-232 signal levels. NM-251B has one input port for connecting to the speed log that can be configured to interface both “closing” contact and optocoupler output type Speed Logs. Further details on how to configure the NM-251B are shown on table Configuration shall be done prior to connecting to the Speed Log or else damage may occur to the instrument. 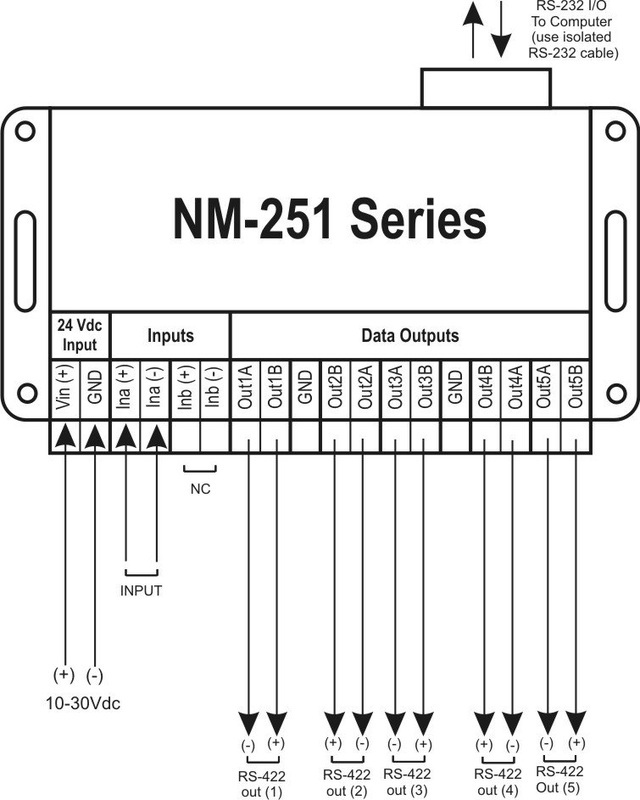 NM-251B has five general purpose output ports that are able of transmitting NMEA sentences in both RS422 and TTL signal levels, depending on the connection topology and each one can fan out one instrument. Current drawn from each output port can be up to 20mA, efficient enough to drive any NMEA compatible instrument. The RS-232 port can deliver NMEA sentences to any modern computer running the appropriate software on Windows 98 and above provided that serial communication follows the 4.800/8/N/1 standard. This port is not optically isolated and shall not be used for other than testing purposes. The NM-251B can be connected as shown in figures 1, 2 and 3 using RS-422, TTL or both signal level type outputs.